This is always one of the most asked questions. The amount of funds you are eligible to receive depends on your age (or the age of the youngest borrower), the appraised home value or lending limit (mainly in the case of the government program), and interest rates. In general, the older you are and the more valuable your home, the more money you can get. Eligible property types include single-family homes, HUD approved condominiums, townhomes, manufactured homes (built after June 15th 1976), and 2-4 unit properties. It depends on whether you select the adjustable rate or fixed rate program. With the adjustable rate you can choose to receive funds from a reverse mortgage as an initial up-front draw, fixed monthly advances either for a set term or for as long as you live in the home, as a line of credit, or a combination of these options. The most flexible option is the line of credit, which allows you to draw on the loan proceeds as you wish. With the fixed rate, the proceeds from the reverse mortgage are paid out as a single lump sum disbursement with possible limitations on all that is available. Please inquire for a further detailed explanation and illustration. How Do I Access The Line Of Credit? It typically takes a few days after funding to have your LOC set up with the servicer. I suggest that if you want any immediate funds to request them prior to closing so they are shown on your final closing documents. Once established, you can mail or fax in a Line of Credit Draw Request Form as needed. It is available in your Servicing Welcome Packet or attached to your monthly reverse mortgage statement depending on the servicer. Once the Draw Request is received by the servicer, your money will be deposited into your bank account or mailed to you within 5 business days. There is no charge for this service however a minimal draw may be required. Do I Earn Interest on the Unused Balance in the Line of Credit Option? No, you’re not earning interest like you do with a savings account, because you don’t own the money. However there is a growth factor on the HECM that is typically applied to your LOC balance. Presently it is in the 4.0 – 5.0% range for new loans. Remember this account is money that you can borrow. Again it is not money that you actual own, so that is why it is not interest. Upon the payoff of the reverse mortgage, any remaining money to borrow in the LOC is no longer available, just like any regular home equity line of credit. The proceeds from a reverse mortgage can be used for anything (remember it is your money – spend it as needed), whether its to supplement retirement income to cover daily living expenses, repair or modify your home (i.e., widening halls or installing a ramp), pay for health care, pay off existing debts, buy a new car or take a dream” vacation, cover property taxes and insurance. How Does the Interest and Mortgage Insurance Work on a Reverse Mortgage? With a reverse mortgage, you are charged interest and mortgage insurance only on the proceeds that you receive. Fixed or adjustable rates are available. With the adjustable interest rate it is tied to an index, such as the 1 Year LIBOR (London Interbank Offered Rate), plus a margin that typically adds an additional 2.00 to 3.25 percentage points onto the rate you’re charged. The mortgage insurance premium is set at an annual rate of 1.25%. Interest is not paid out of your available loan proceeds, but instead compounds over the life of the loan until repayment occurs. As long as you own an acceptable property, are at least 62 years old, and have enough equity to pay off all mortgages and liens, plus meet the minimum financial assessment requirements, you can typically get a reverse mortgage. 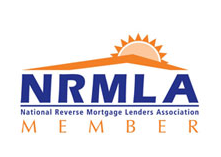 You may qualify for a reverse mortgage even if you still owe money on an existing mortgage. However, the reverse mortgage must be in a first lien position, so any existing indebtedness traditionally must be paid off. You can pay off the existing mortgage with a reverse mortgage, money from your savings, or gift funds from a family member/relative. For example, let’s say you owe $180,000 on an existing mortgage. Based on your age, home value, and interest rates, etc. you qualify for $225,000 under the reverse mortgage program. Under this scenario, you will be able to pay off ALL of the existing mortgage and still have $45,000 left over to use as you wish. If, however, you only qualify for $175,000, then you would need to come up with $5,000 from your own resources to get the reverse mortgage. Even then, all the money from the reverse mortgage will have been used to pay off the existing mortgage. On the other hand, you won’t have a monthly mortgage payment anymore. If you find yourself in a deficit situation where you don’t have enough money to pay off the existing mortgage, you may use funds from a grant or gift from a relative to cover the gap, but you cannot incur a new debt obligation (i.e., loan) once an application is taken. A reverse mortgage does not affect regular Social Security or Medicare benefits. However, if you are on Medicaid or SSI, any reverse mortgage proceeds that you receive must be used immediately. Funds that you retain would count as an asset and could impact eligibility. For example, if you receive $4,000 in a lump sum for home repairs and spend it all the same calendar month, everything is fine. Any residual funds remaining in your bank account the following month would count as an asset. If the total liquid resources (including other bank funds and savings bonds) exceed $2,000 for an individual or $3,000 for a couple, you would be ineligible for Medicaid and SSI. To be safe, you should contact the local Area Agency on Aging or a Medicaid expert. Counseling is required for all reverse mortgages and may be conducted face-to-face or by telephone. Please allow from 1 to 1 ½ hours for the counseling. This is a borrower paid expense to the Independent HUD Counseling Agency. Some agencies receive government grants from time to time which allow them to offer this service for Free. By law, a counselor must review (i) options other than a reverse mortgage, that are available to the prospective borrower, including housing, social services, health and financial alternatives; (ii) other home equity conversion options that are or may become available to the prospective borrower, such as property tax deferral programs; (iii) the financial implications of entering into a reverse mortgage; and, (iv) the tax consequences affecting the prospective borrower’s eligibility under state or federal programs and the impact on the estate or his or her heirs. No monthly payments are due on a reverse mortgage while it is outstanding. The loan is repaid when you cease to occupy your home as a principal residence, whether you (the last remaining spouse, in cases of couples) pass away, sell the home, or permanently move out. The amount you pay back can never exceed the value of your home, even if your loan balance is higher. Furthermore, if the home is sold and the sales proceeds exceed the amount owed on the reverse mortgage, the excess money goes to you or your heirs. Upon the death of the last borrower, the heirs have initially up to 6 months to repay the loan. However, they can request two 90-day extensions if needed. Is The Reverse Mortgage For Everyone? No, however it should be an option that individuals review as part of their overall financial planning and determine if it is right for them. If you intend to leave your home within 2-3 years, there may be other options to consider, such as home equity loans, no-interest loans or grants that may be offered by your county government or a local non-profit to repair your home, or a tax deferral program, if you’re having problems paying your property taxes. Also, if any of your children want to move into the home or continue residing in the home then you may want to consider other options, because in many cases, they will not be able to refinance the reverse mortgage and will be forced to sell in order home to pay back the reverse mortgage. Will The Bank or Lender take my home? The homeowner always retains title to the property and can choose to sell the home at any time. The lender’s interest is limited to the amount owed on the Reverse Mortgage. The borrowers are responsible for the property taxes, homeowners insurance, HOA fees (if applicable) and maintenance of the home. There is no equity sharing on the FHA Reverse Mortgages. There are no prepayment penalties either. Will my children be held personally responsible for repayment of the Reverse Mortgage? The Reverse Mortgage is a non-recourse loan. This means that the lender can only derive repayment of the loan from the proceeds of the sale of the property. Your heirs will not be personally responsible for the repayment of the loan. Simply, you or your heirs can never owe more than the value of the home regardless of the loan balance. The same rule applies if a catastrophe struck and the value of the home is reduced. Must my home be paid off “Free & Clear” to qualify? No, you may pay off a mortgage or equity loan with a Reverse Mortgage. In fact, many people get a Reverse Mortgage for this reason: to get rid of their monthly house payments forever. Are income and a credit review needed to qualify? Yes, a Reverse Mortgage now has a monthly residual income that needs to be met for qualifying. This figure depends on your household size. In addition a financial assessment is now completed to confirm you have paid your past housing expenses of mortgage, taxes, insurance, and HOA fees. The assessment must show you have the capacity and willingness to handle present and future expenses. Basic qualification is that at least one spouse needs to be at least 62 years of age, your home must be your primary residence, and the home mortgage must be low enough to be paid off at closing through loan proceeds. Ask me to provide you with an illustration showing the rates, fees, and proceeds available. Are there any monthly payments with a Reverse Mortgage? There are never any monthly principal and interest mortgage payments. The borrower is responsible for payment of taxes, insurance, and general upkeep of the home. Will a Reverse Mortgage eat up all my equity and leave nothing for my heirs? Of course that could be a possibility depending on a variety of factors such as how long you live, how much your house appreciates in value, what happens to the interest rate (if adjustable), and how you are receiving the money (lump sum, monthly, or line of credit) The program however is designed that there typically will be remaining equity in most cases. Realize that your property should continue to appreciate and you are accruing interest on only the amount borrowed. Ask me for an amortization table that might apply to your specific situation. If I get a Reverse Mortgage, can I sell my home? Sure you can, remember you are the owner. If you decide to sell your home, the reverse mortgage is like any other loan that must be paid off at closing. There are no restrictions on prepayment or penalties for paying off your loan or selling your home. Will my loan terms change if my lender changes? No, a reverse mortgage is secured by a deed of trust and note (two deeds of trust and notes with the FHA HECM). Once executed, the terms are defined and cannot be changed. Are there any health requirements to get a Reverse Mortgage? No, as a matter of fact, many people with health issues get this loan to help pay for medical prescriptions and needs such as in home health care. Can my home be in a living trust with a Reverse Mortgage? In most instances the answer is yes. The trust needs to be yours and does have to be reviewed to make sure that it meets the title company and FHA requirements. Should I select Dean Jones to assist me with my Reverse Mortgage? Most definitely. He lives and breathes Reverse Mortgages. He will do his very best for you! Call him today at 1-888-323-3555. Wow, that was a lot of questions. How did I do? Do you have others? If so, just let me know. I am here to help!